If you are hesitant about booking a cruise aboard the Eclipse...don't be. It is a wonderful ship, and the ship's Master/Captain (Captain Leo) always seems to be about somewhere. He is very approachable, and is quite funny if you get a chance to talk with him. One day, during his daily 0945 briefing (when he would tell you where we were, the weather, etc) over the ship's speaker system, he remarked, "the ship's current position is upright...and I intend to keep it that way!" Although the food and service in the main dining room is very good, do try the speciality restaurants...they are even better !! glass blowing was really a nice thing to see. Book in Aqua class the more money is worth it. 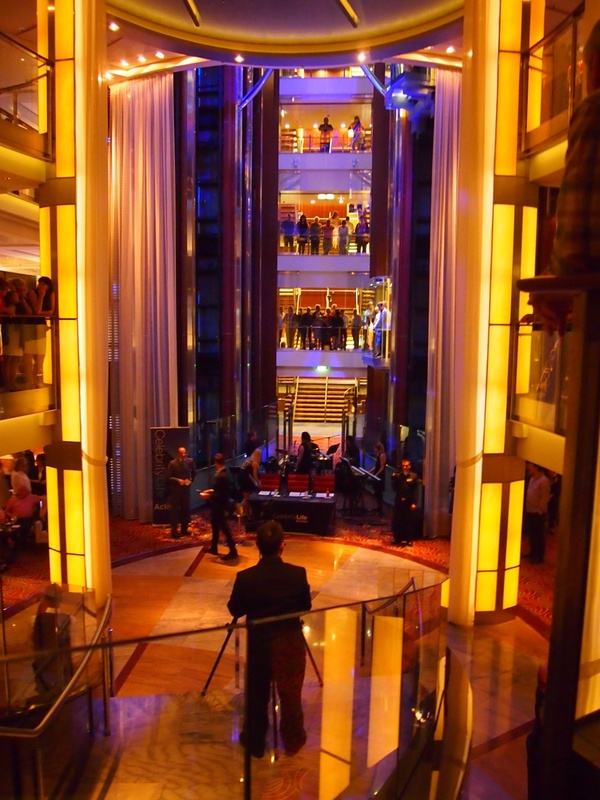 The surprise was the Corning Hot Glass show on deck 15. Waht an interesting experience and totally unexpected to expersience at sea. Watching these glass blowing projects was a great and informative show. We stayed in a Concierge stateroom. My wife and I are normal size people so stateroom was big enough for us. If you are interested in learning how the ship runs we highly recommend the "Inside Access"tour that only can be booked once on board. Very informative. We stayed on the 7th deck forward and it was very noisy due to the ship's docking and other ship noises - would not stay that far forward again. We stayed in the forward inside cabin. It was very quiet there. The room was large enough with a good size closet with more than enough hangers. Enough drawers in the bathroom and the shower with the doors (no more ugly curtains). Be aware there are only two outlets in the cabins and they are not in the bathroom. Other than that, have a wonderful time, like we did. Ship was nice, cruise line not so great. Staff was very nice. Do Select dining and sit at a large table. That way, you get to meet new people if you choose and get to share experiences. 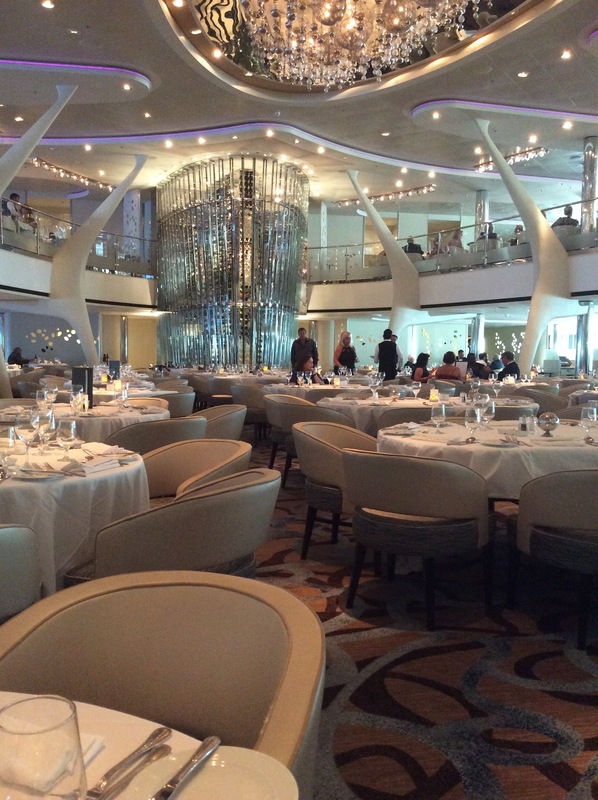 Select dining also allows you to eat at different times if you want. Be careful in the theater as there are support poles that can block your view. Guest Relations have horrible attitude towards guest problems. It feels like they did not want to help and they never did. I'm not qualified to say or tell a tip. You are very qualified to know whats best for your passengers. 1st have a would have a reunion with all your departments that touch all passengers and that Celebrity requires a better service. The pursers, I have high remarks. if going there pack a great camera.